Done. 222,814 have signed. Let's get to 250,000! Thanks for signing the petition to shut down the torture trade in the Sinai. To show them how serious we are, let's amplify our call by posting on the Facebook pages of key Egyptian leaders, Egypt's state run airlines EgyptAir, and the Twitter account of the EU foreign affairs chief (who can influence the Egyptian government) with messages demanding action now. For Facebook simply click the link to leave a comment, then share this campaign with your friends using the tools below. Left messages on each Face book page. Thanks Cal. Again, same comment I made about rapes in Somalia. 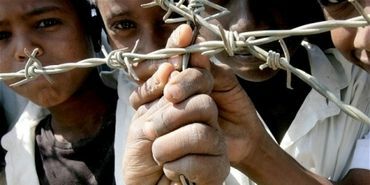 The US and other countries disgustingly stand by does nothing but gives lip service against these outrages rather than cutting off all but the most urgently needed aid until the Somalia government, or whatever, they call it, takes drastic steps to put an end to the organized abuses. It seems nothing ever gets done in these 3rd World countries until the spigot is shut down to the gravy train that feeds the government graft and off shore bank accounts. Even after hundreds of years of progressive advance we still have slave trades. Thanks for signing the petition to shut down the torture trade in the Sinai. Thanks Cal for providing the link. Signed and noted. "Thanks for acting to end the torture trade"
So signed! Thank you, Cal!